My son and I have been playing Plants Vs. Zombies 2 a fair amount recently (verdict: it’s good, but making it “free to play” has made it worse as a game than the original). 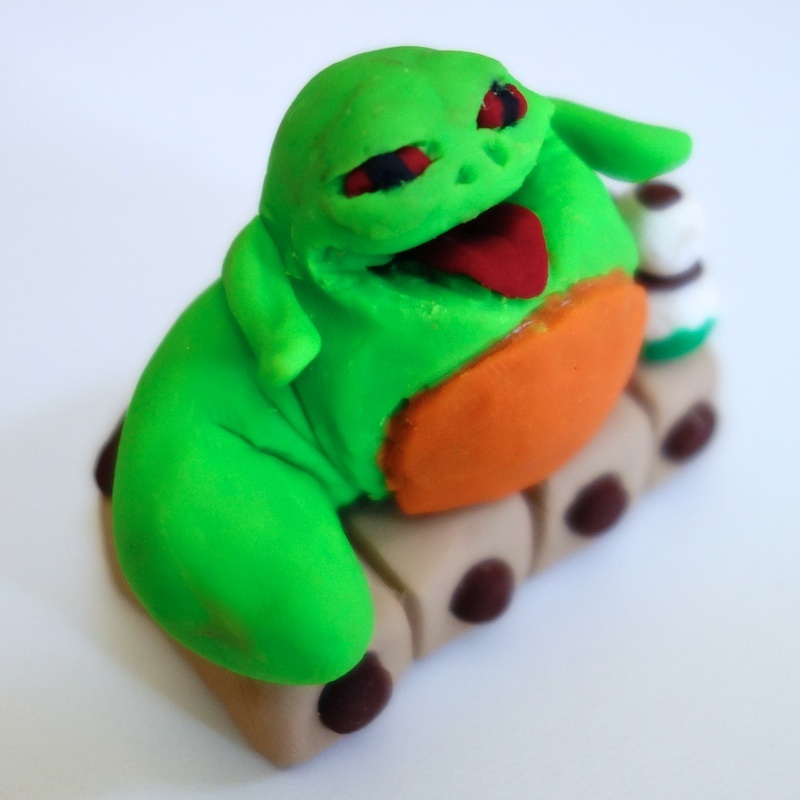 He loves coming up with his own designs for new plants and zombies that might appear in the game, and wanted to use polymer clay to sculpt some of them. 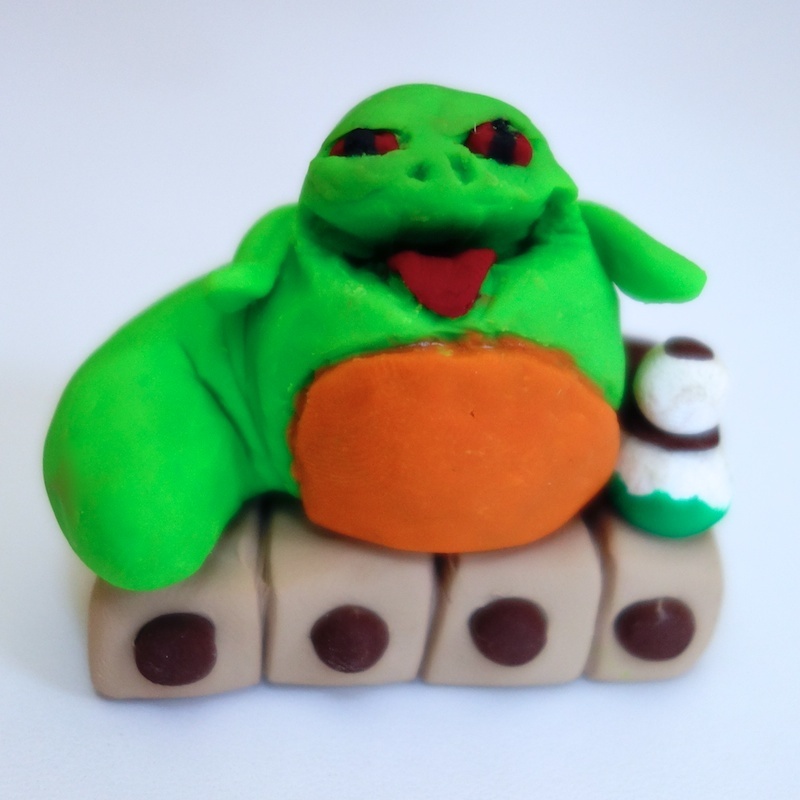 I decided to try my hand at sculpting a Jabba at the same time and think it came out pretty well. It’s about 1.5″ tall. We used colored Sculpey and I was impressed with how easy it was to work with compared to some of the clay that I’ve used in the past — it’s basically the same as Play-Doh, but you can bake it hard. I think I’ll try making some other figures later.